Certified Public Accountants & Staff - Appletree & Kern, P.C. Fred has been with Appletree & Kern since 1964, becoming a partner in 1967. His main focus is in the areas of tax planning and preparation with emphasis on closely held businesses and individuals. Greg has been with Appletree & Kern since 1975, becoming a partner in 1980. Greg serves a wide range of area businesses and professional organizations. His service strengths include business, individual, clergy, and estate taxation and accounting. He also specializes in computer technology consulting. David has been with Appletree & Kern since 1987, becoming a partner in 1995. He is in charge of the firm’s auditing and accounting practice and also specializes in individual and corporation tax consulting and preparation. Among David’s clients are manufacturers, contractors, restaurants, physician and other professional service providers, educators, retailers, and a golf course. 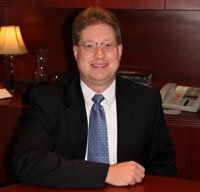 Greg has been with the firm since 2008, becoming a partner in 2012. 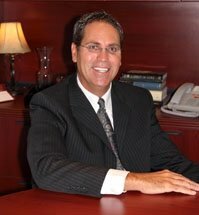 Gregory focuses his practice in the areas of accounting and auditing, business and individual taxation planning and preparation, business operations and accounting consulting, and computer accounting systems implementation consulting. Among Gregory’s clients are bars and restaurants, social clubs, contractors, water well drillers, chiropractors, financial planners, attorneys, insurance brokers, manufacturers, commercial and residential real estate companies. 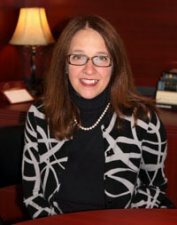 Her duties at Appletree and Kern include the organization and coordination of office operations and procedures; client services; compilation of tax returns; preparation of W-2's and 1099's; staff payroll; implementation of office systems, layout and equipment; and marketing. Amy has been employed with Appletree & Kern since December of 2014. 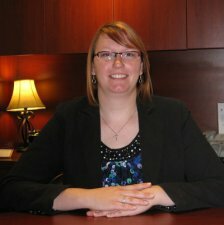 She performs general accounting tasks and bookkeeping services for many of the firm’s clients, working closely with them to achieve and maintain good business practices. She is proficient in QuickBooks, payroll tax preparation, and also assists in income tax preparation.